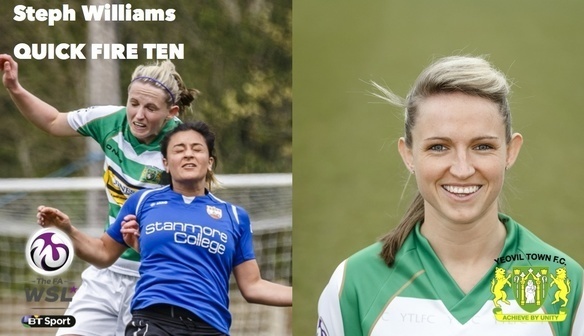 The Yeovil Town Ladies website caught up with Steph Williams and asked her ten quick fire questions. Here are her answers. 1 - Do you have a middle name/s? 2 - Who is your footballing idol or role model? There are a few with different reasons – Ryan Giggs just purely because he’s Welsh, Steven Gerrard for his consistency and heart, Bastian Schweinsteiger for his long distance accuracy. But most importantly, Wales’s own Gwennan Harries for her incredible drive and determination to return back to the field after long-term injury. That attribute is priceless. 3 - What’s been the best bit of advice anyone has ever given you? To replace fear with curiosity. 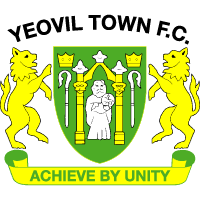 4 - What do you eat as a pre-match meal? Beans on toast…forced down as I’m too excited to have an appetite! 5 - Other than football, what other interests do you have? I’m pretty keen in the workshop, carpentry to be precise. Give me a lump of wood and I’m a happy! 6 - What’s the one thing (that you are able to and want to share) that people would not know about you? I’m pretty sure most of my friends know but I’m completely and utterly obsessed with Lions. Its ridiculous. 7 - Tell us a joke? I have quite a few . . . . . .
What did the rug say to the carpet? ……Don’t move I’ve got you covered. What do Mexicans put under their carpet? …….. Underlay, underlay! Why does it always feel warmer when you stand in the corner of a room? ………. Well it’s usually about 90 degrees so that might be why. What did the duvet shout to the mattress when it fell off the bed? ……… Oh sheet! 8 - If you were to compare yourself to any animal, what would it be? 100% a Lion. Blonde with a crazy wig in the rain. 9 - If you were made to go on a talent show, what would your act be about? Poetry obviously. I’m so good with my sentences they usually end up as one word with my welsh accent kicking in full pelt. 10 - If you had £10.00 to spend on anything at all, what would you buy? Probably something random like tools, far from the norm!